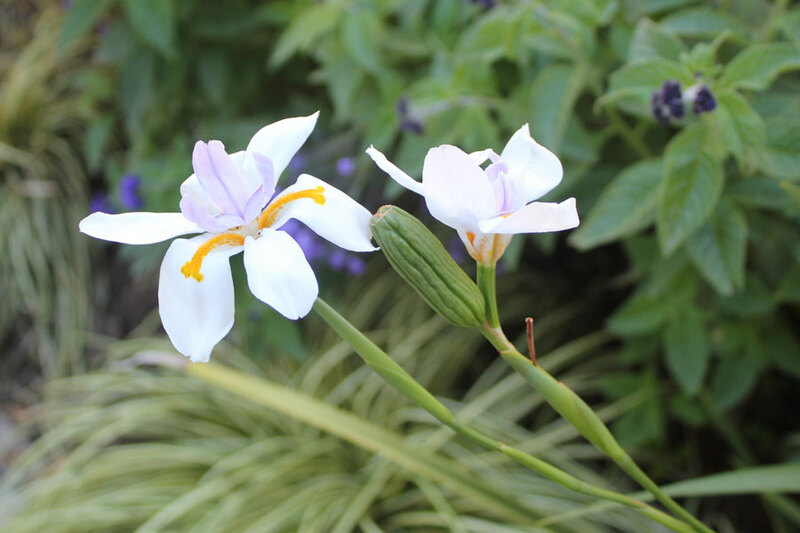 I would not be a true South African gardener if I did not have this wonderful indigenous plant in my garden – Dietes grandiflora. 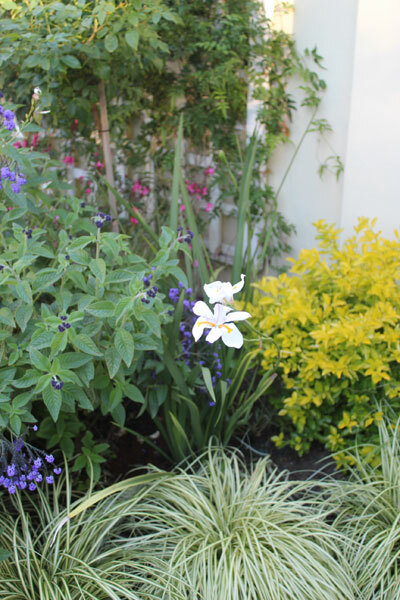 I’ve briefly discussed Dietes before – it is a reliable plant in my garden and forms part of what I consider the “background planting”. It forms a stunning backdrop to all my other foliage and flowering plants and is beautiful in its own right. 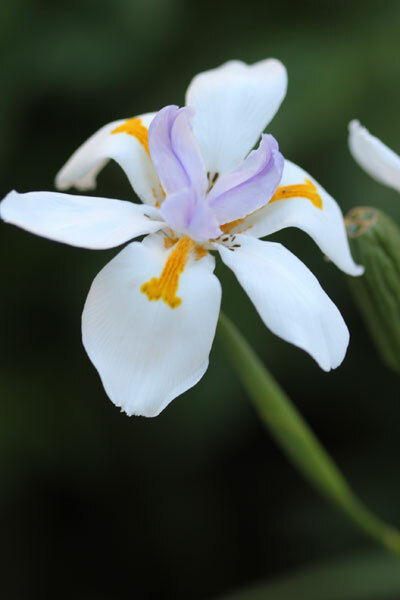 Also known as Wild Iris, this is a large wild iris grown throughout South Africa for obvious reasons. 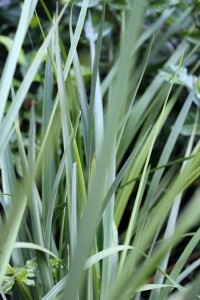 It’s evergreen, easy to grow and thrives in most conditions. For example, I have it growing in my sunniest beds with the roses where it gets about six to seven hours of full sun every day and I also have plenty of them growing in the back garden under the trees where they provide a wonderful contrast with their large strappy leaves which can grow to over a metre high. 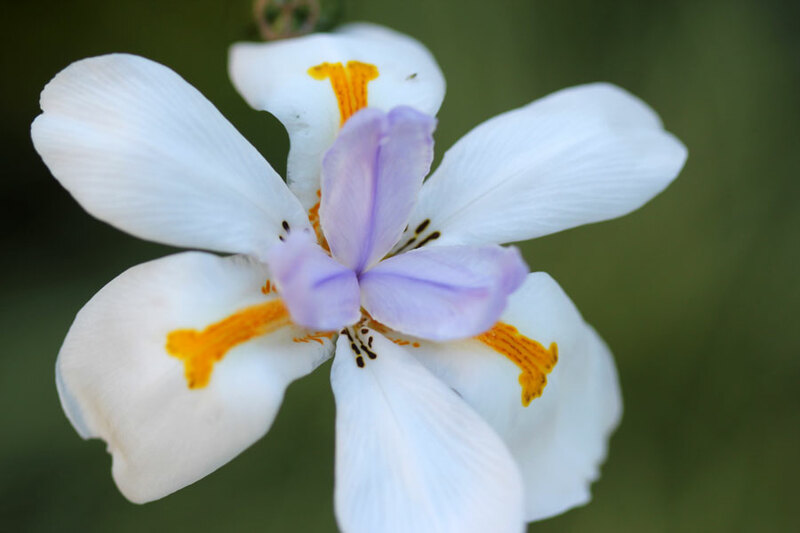 Dietes grandiflora are both frost and drought hardy and will grow in either sun or shade. 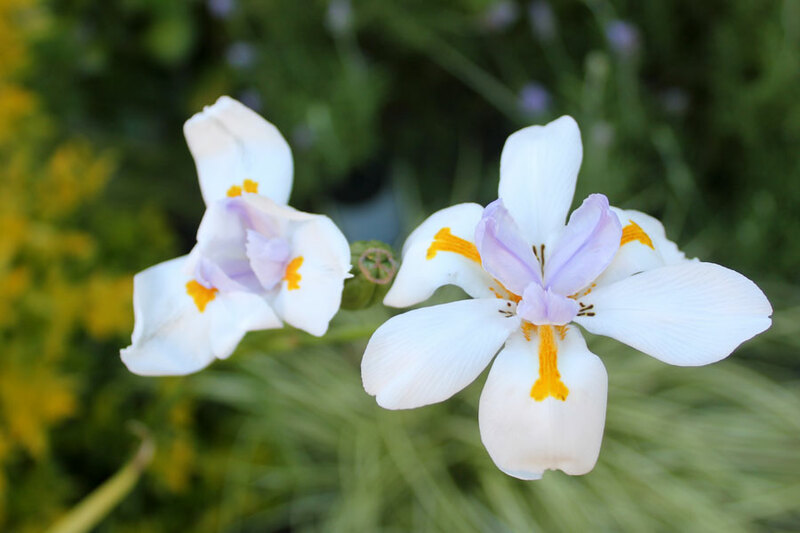 For best results and most flowers, plant Dietes grandiflora in full sun or light shade in well composted, well-drained soil and water well in summer. (Full plant profile at Plantzafrica.com). 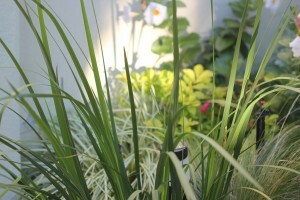 Diana of Elephant’s Eye asks us to profile our twelve favourite plants. The ones we could not do without in our gardens. 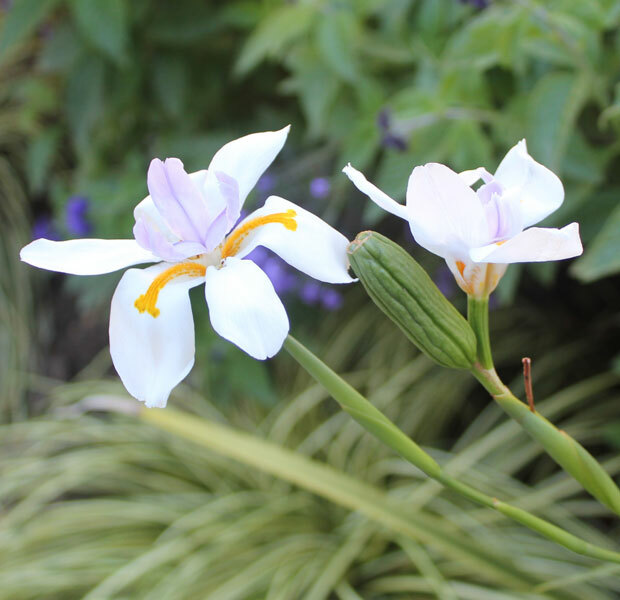 Dietes grandiflora is a stalwart in my garden – so this is one I won’t do without. They require so little attention and reward us handsomely season after season. 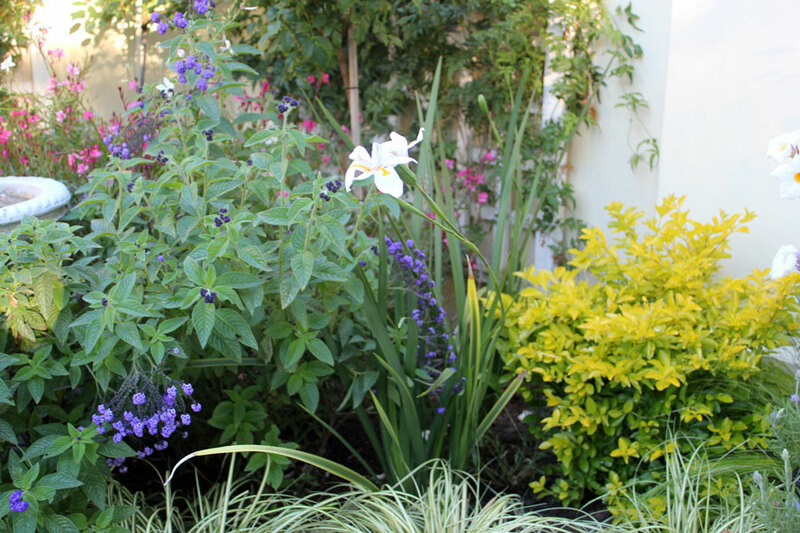 This month Diana profiles her Pioneer plant – Spekboom. I honestly pay these hardy perennials very little attention. They don’t demand any. I’ve hardly ever seen any insects on them (no tell-tale bite marks), they rarely require any sort of grooming and my rambunctious pets don’t even manage to damage the plants when they go bounding through the flower beds. I “cut my gardening teeth” on Dietes grandiflora. 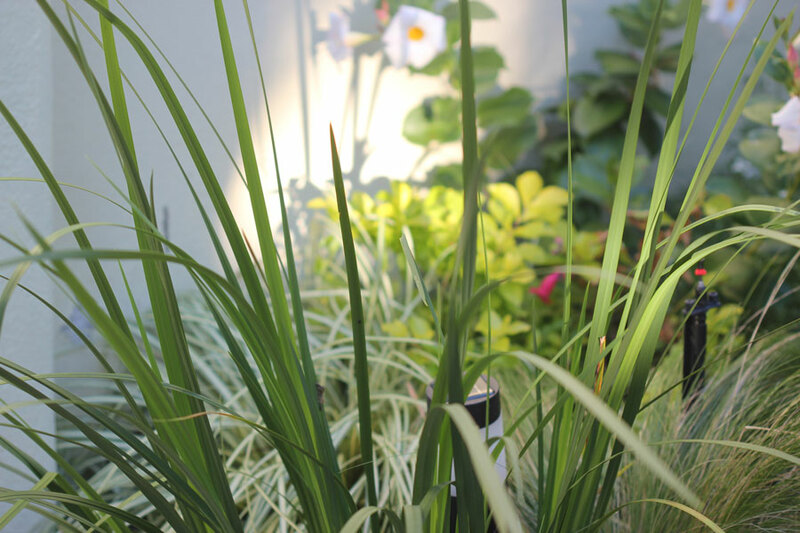 As a beginner, brown-thumbed gardener these plants gave me a great boost initially by simply thriving and providing attractive foliage and the bonus of lovely flowers. 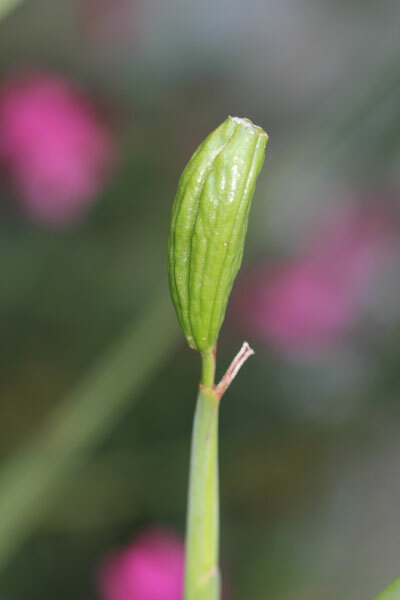 It is for this reason that although I don’t talk about it often, it is on my list of plants I won’t garden without. In January I profiled Carex evergold as my signature plant and in February I raved about the Pittosporum eugenioides ‘Variegata’. 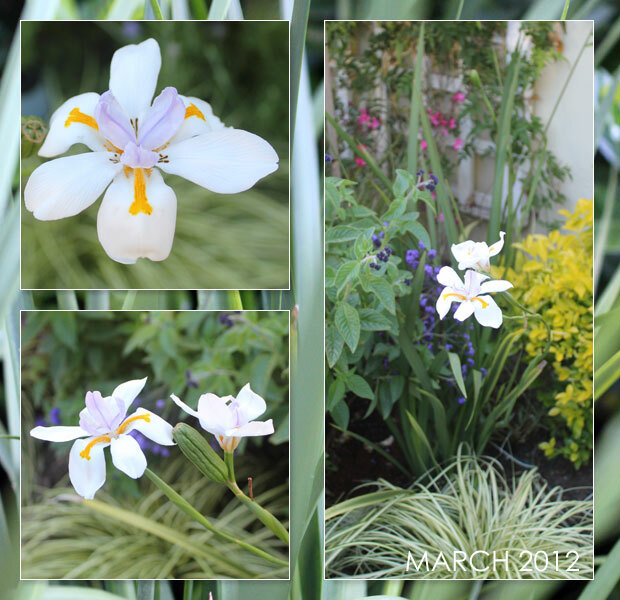 This month it’s Dietes grandiflora. 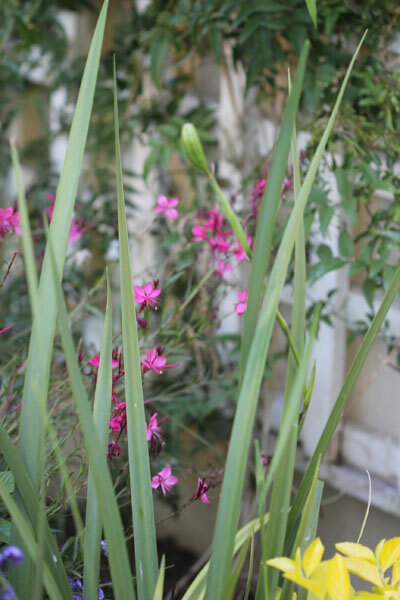 Next month … perhaps a ground cover or a fabulous flowering plant. Come back and see! Hi my friend! This is such a stunning post on a really beautiful and hardy favourite! I have to admit and say I STILL don’t have this amazing plant in my garden yet! Thanks for this – I will get Dietes Grandiflora in my garden this season! I have a fairly large patch of indigenous veld in a built-up area. Kikukyu (lawn) from the surrounding gardens is encroaching and steadily taking over the veld. Is there a natural/biological way to combat this lawn? So lovely…it is a beautiful native! I love the subtle colors and delicate petals. Natives are so helpful to a gardener because they usually are very easy to care for. 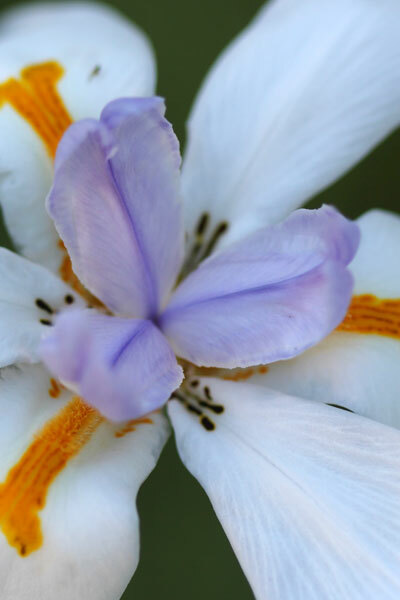 What a gorgeous flower – and how wonderful that it can take so many different conditions. Wish we had something ‘wild’ that was so pretty! What a lovely plant but surprising that it isnt called Iris something in Latin – those latin names are so confusing. I love how you combined it with the other plants/flowers. It does seem to go with anything. What a delightful collage you close with! My Dietes haven’t heard about summer watering. I rely on the – bloom in anticipation of rain – theory. Will be adding more to the difficult bits, they seem to thrive regardless! Wow, what a fabulous plant to profile. If it were native to this land the garden would be smothered in it. I think my plant for this month has to be—thinking about it—-probably the miniature daffodil–or?